I made a promise to Free Spirits and to myself to do each and every CTC this year, and yesterday I almost broke that promise. This month’s challenge is a nice one: “Row 4810m and record your best time.” The challenge is to find time to erg in the middle of the rowing season. Usually I can rely on the weather to find a good training day to do the CTC, but with races and nice weather, this month was a disaster. I woke up on the last possible day of the month to do this CTC with the feeling that I wouldn’t do the session in the morning. Luckily, working from home I was super effective, so in the afternoon I was able to break out for an hour, sit down and do the session. With an OTW training planned for the evening, this wasn’t going to be a super-fast session. I aimed for 1:56 average pace for the 4810m and I wanted to do it in a strongly negative split way. The plan was to start at 2:00 pace and accelerate for each 500m. It was easier than it looks on the graph. I managed a 1:55 average split and this way of doing it felt really nice. Still, I had tired legs afterwards, and only 2 hours to go to the start of the OTW session. The quad session was great. 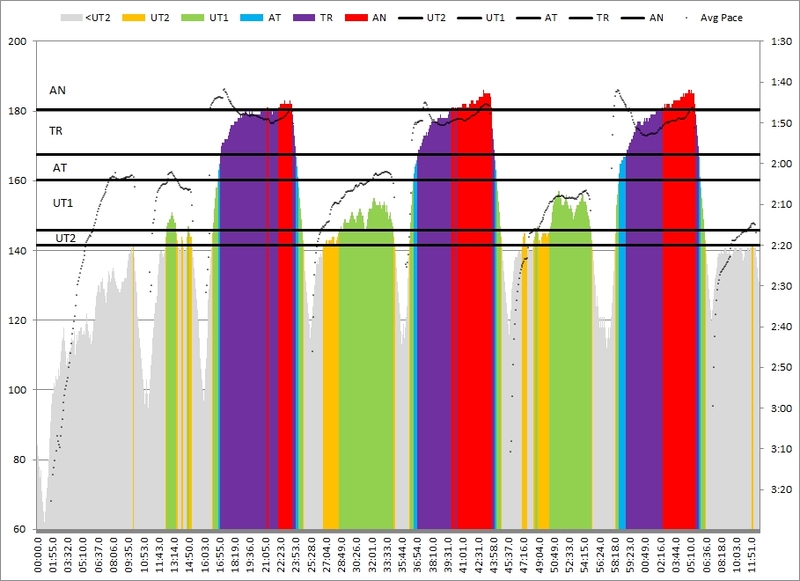 Three km warming up, then 3x2km @26-27spm but with a race start. Paddle 2km between the intervals. Hard work but not sprint race intensity. Good session to try out if our stroke falls apart at these medium stroke rates. We held up pretty well. 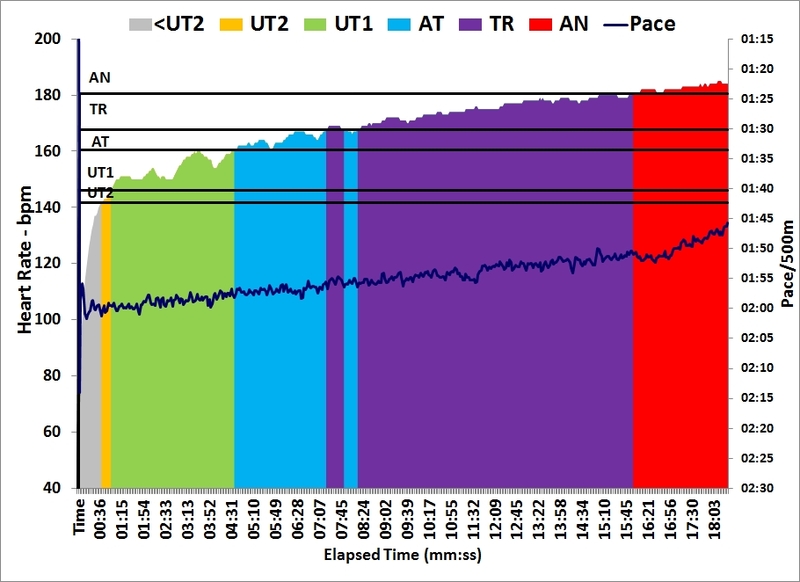 Stroke rate had a tendency to creep up instead of down, and we ended up rowing the final 500m of each interval at 29-31spm. We are a competitive crew. Once we set the time for the first interval, everybody on board wanted to be close to that time in the subsequent 2 intervals. Heart rates were high again. Apparently I was just having a “high heart rate day”, because the perceived effort wasn’t at all like that.